Khao khua (ข้าวคั่ว), or toasted rice powder, is a common ingredient used in numerous dishes in northeastern Thailand (Isaan) and throughout the country of Laos. 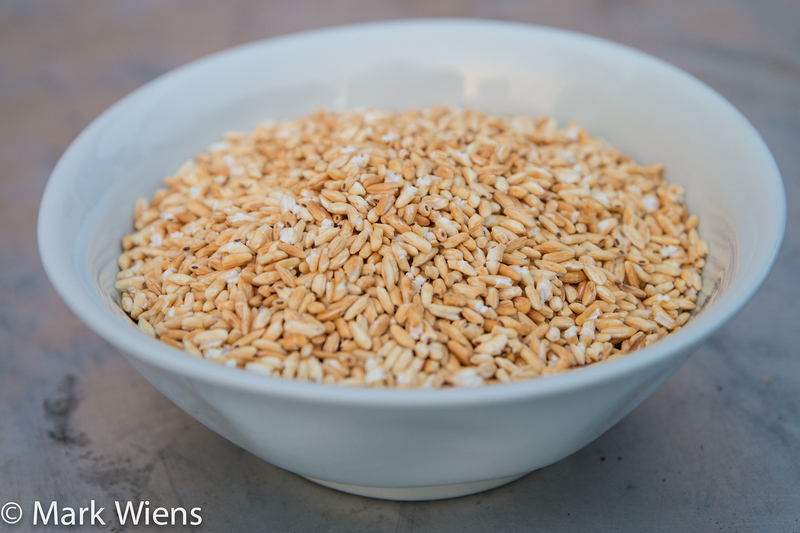 Since I’ve been making, and since my aim is to write and publish many more recipes, I just decided to quickly share how to make toasted rice powder – that way I can just reference this post in later recipes that call for it. So this is just a real quick recipe, it’s easy to make, and it adds a lot of flavor and texture to dishes that use it. Note: If you want to get straight to the recipe, scroll down to the recipe box below. Or keep on reading below for details about how khao khua (ข้าวคั่ว) is prepared and eaten in Thailand. What is khao khua (ข้าวคั่ว)? In Thai, khao (ข้าว) is rice and khua (คั่ว) is to dry roast, to dry fry in a pan with heat, but no oil. The rice in khao khua (ข้าวคั่ว) is sticky rice, which is then dry roasted, and finally pounded into a coarse powder. In Thailand, khao khua (ข้าวคั่ว) is used in a variety of meat salads like nam tok (น้ำตก) and laab (ลาบ), sometimes in soups like gaeng om (แกงอ่อม), and finally in chili dipping sauces like nam jim jaew. As an ingredient, khao khua acts as a thickener, contributes a crunchy texture (which I sort of think tastes and feels like those un-popped popcorn kernels at the bottom of the bag), and also adds a wonderful smoky roasted flavor to dishes that use it. Although it’s a simple ingredient, be sure not to leave it out of recipes that include it, because you can really taste it and it really enhances dishes its included in. For dishes, usually just 1 – 2 spoons of the powder is added. 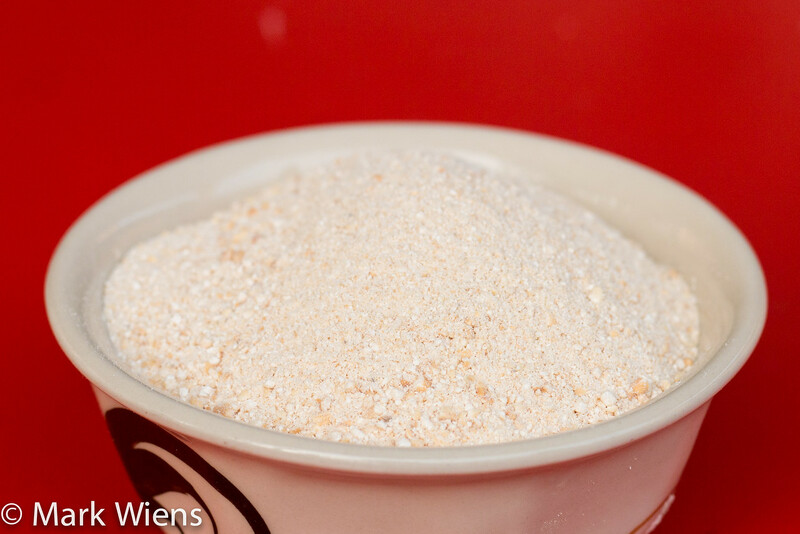 It’s very simple to make this toasted sticky rice powder recipe, the only ingredient you’ll need is sticky rice, which is also sometimes called glutinous rice, or Thai sweet rice. It’s the same type of sticky rice that’s eaten as the staple in Isaan and Laos, and I’ve seen it easily available at Asian supermarkets in the US as well. 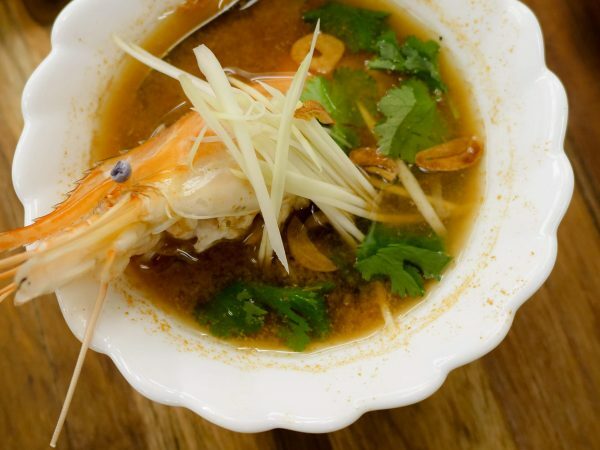 For this khao khua recipe I used about 1 cup of raw (uncooked) sticky rice, but you can make however much you like, and this recipe and the directions won’t change at all. The reason I tend to keep my batches smaller is that it honestly tastes best when it is used fresh. 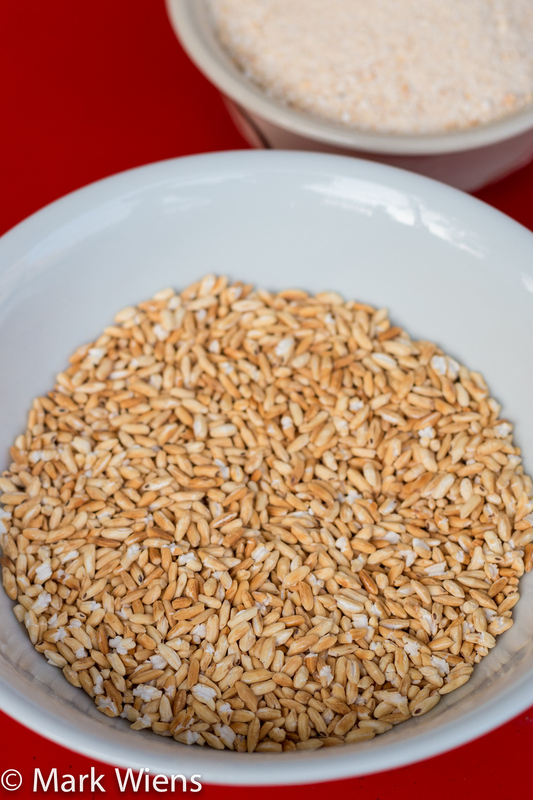 But that being said, it can be made ahead of time and stored for 1 – 2 weeks and the flavor should still be great – much better than store or market bought khao khua (ข้าวคั่ว). 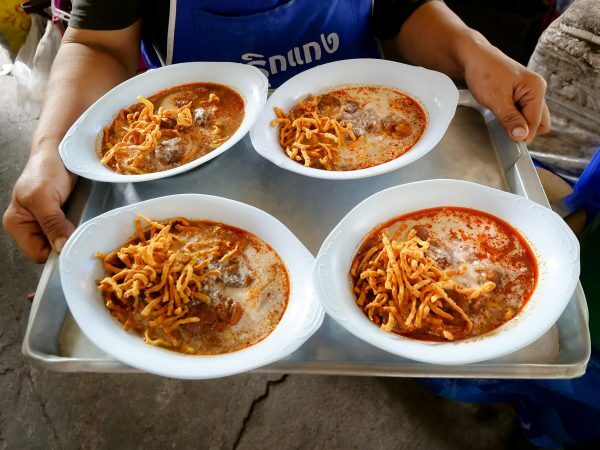 Some recipes, like this one, say to soak the sticky rice in water prior to toasting, but I’ve never seen anyone in Thailand do this – so I would recommend not soaking in water at all. I didn’t take any photos of the toasting process, because we filmed a video instead (so if you haven’t already watched the video, make sure you watch it now – it’s below). You can use any frying pan or a wok, and turn it to medium heat. Once your pan is hot, add the sticky rice (with no oil), and just dry roast it, stirring continuously. At first, it will be slow and you won’t see much happening, but after about 10 minutes or so, the sticky rice should begin to turn fragrant, to me it almost smells like popcorn, and it should start turning golden yellow in color. I normally fry the sticky rice for about 15 minutes, until it’s nicely golden brown, and it almost changes from looking like rice to wheat. After it’s finished cooking, set it aside to cool for a few minutes. 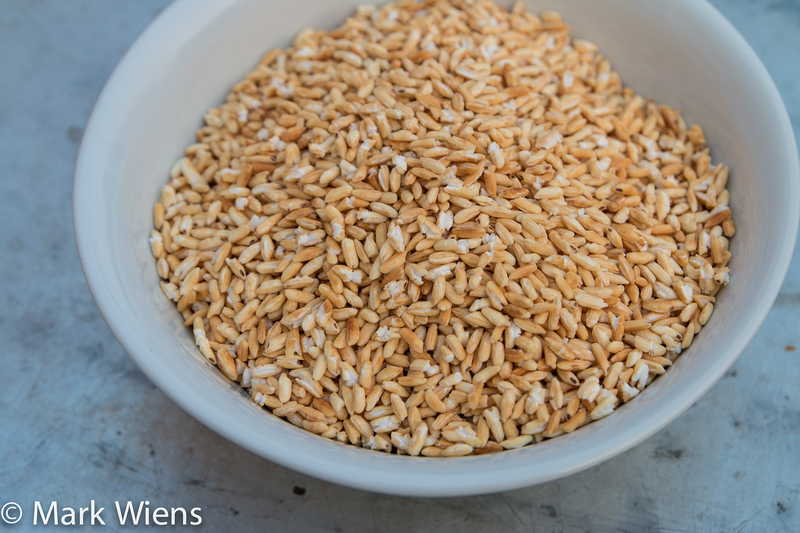 The next step of making khao khua (ข้าวคั่ว) is to pound the toasted sticky rice into a coarse powder. 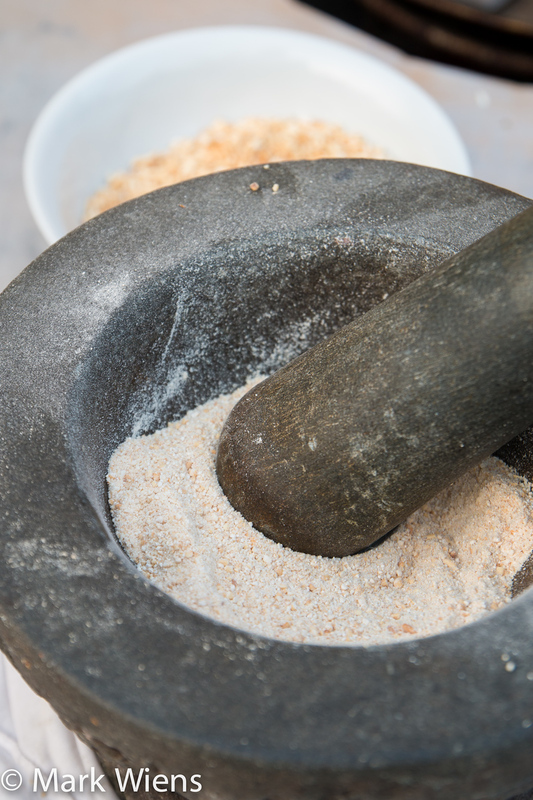 In Thailand, the traditional way is to still use a mortar and pestle to grind it. But unlike a Thai curry paste, where the hand pounding actually brings out more flavor from the ingredients, for khao khua (ข้าวคั่ว) it doesn’t really do anything extra, so it works just as well, with less effort, to use a blender or food processor. 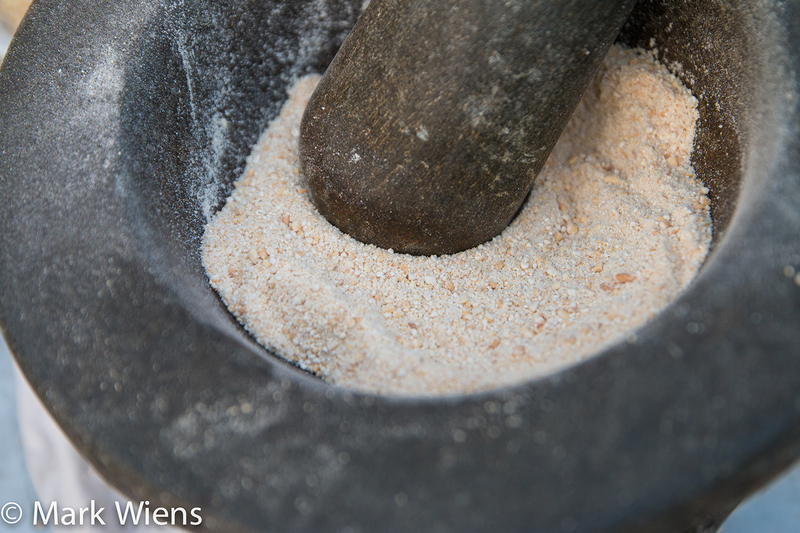 Whatever you use, just grind the sticky rice into a coarse powder, with no big grains, but not too fine either. Toasted sticky rice powder, known in Thai as khao khua (ข้าวคั่ว), is simply dry roasted sticky rice, that's then pounded or ground into a powder. 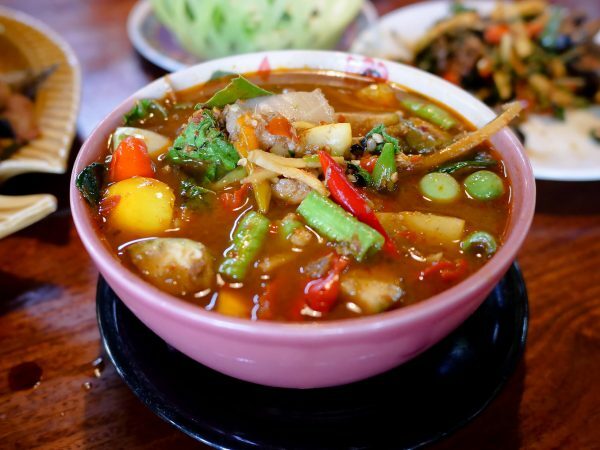 It's used in a variety of Thai Isaan (northeastern dishes) like minced meat laab salad and an herb filled vegetable soup called gaeng om. Heat a frying pan or wok on medium heat. Add the plain raw sticky rice (not rinsed) to the hot pan, and dry roast, slowly stirring continuously. After about 10 minutes, the grains of rice should begin to turn from milky white to golden yellow, and they should also start to smell like popcorn. Keep dry frying for about 15 minutes, until the sticky rice is golden in color, then remove from heat and set aside. 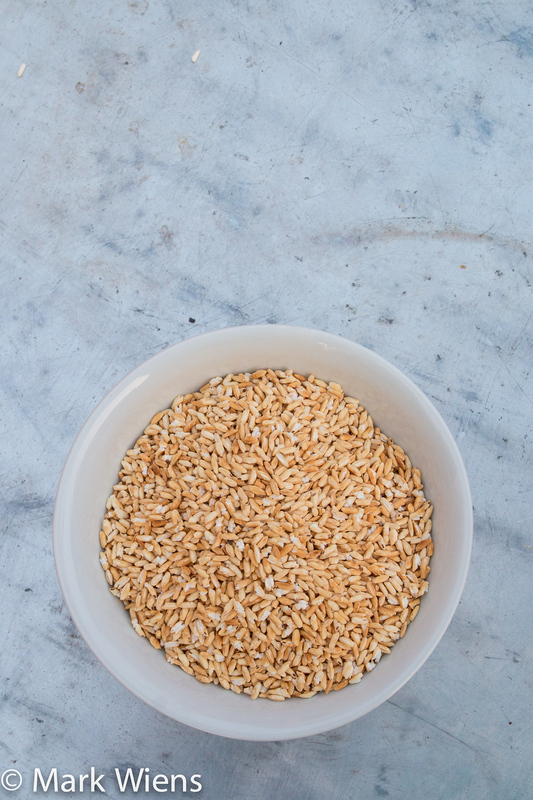 To grind the sticky rice into powder, you can either do it by hand using a mortar and pestle, or you can grind it in a food processor or blender. You're looking for a course powder. Use the toasted rice powder immediately for best taste, or you can store in a bag or jar for later use (probably within 1 - 2 weeks is best). 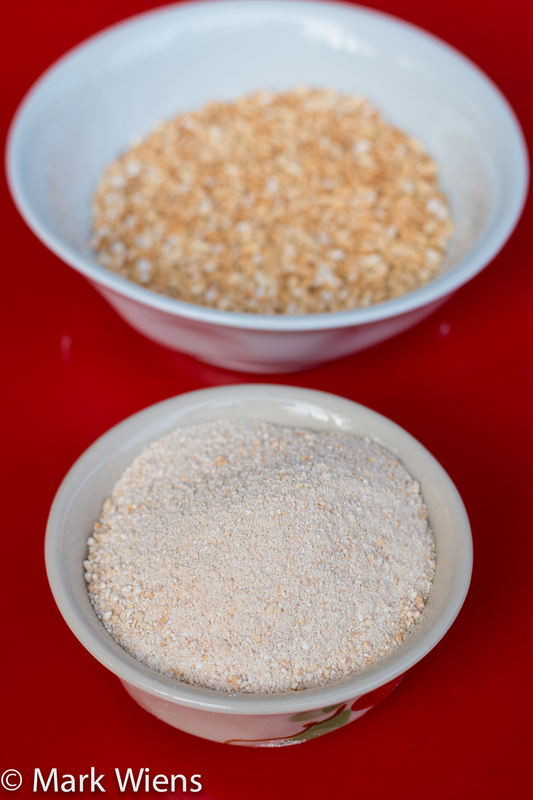 Toasted sticky rice powder, which is known as khao khua (ข้าวคั่ว) in Thai, is a common and important ingredient used in dishes from northeastern Thailand and Laos. This toasted rice powder recipe is really easy – all you have to do is dry roast sticky rice until it’s golden brown, then pound or grind it into a powder. Yet even though it’s a very simple ingredient, in order to obtain the true flavor of certain dishes, it’s really an ingredient you don’t want to skip! I really love how khao khua (ข้าวคั่ว) gives dishes a crunchy texture and a smoky roasted flavor. Hey Mark, love your recipes and you tube channel. Just a suggestion, my wife is issan and she crushed kaffir lime leaves into her Khao Khua. Its the secret to the best Larb ever. Hi! Can you substitute a different rice if you don’t have sticky rice? I just happen to be munching on toasted sticky rice right now that a friend brought. I just am not not able to stop munching it… It’s so tasty without any seasoning! I am from the north east region of India that borders Myanmar, and we also eat coarsely ground toasted sticky rice. Usually it’s seasoned with salt and chilly powder, and some chopped onion, and then scooped up with bite size pieces of tender cabbage. Hi Mark, thank you for this staple recipe. Made my first homemade khao khua tonight and cooked nam tok kai with it, it was insane , I’m so proud of my accomplishment, really delicious, thanks to you and your recipes! Keep up the great job! Stumbled upon your recipe, Mark Weins. Simple and quick. Thank you.